We need to enjoy each day, write a note or two to remember the day, a poem, maybe a photo to attached to the page for a memory. Eileen Hull's Journal Die from Sizzix has endless possibilities. if you need inspiration make sure to check out Eileen Hull's Blog and see what the fabulous Design Team has been sharing all month. Die cut and spray journal covers with mist; dry. Dry brush paint over top of cover; dry. Spatter with black and buff paint over prepared cover; dry. Apply distress ink using blending tool over prepared journal. Stamp background images with black paint to journal; dry. Lay stencil on journal cover; apply paste with palette knife. Dry. Put prepared covers together with glue and brads. Cover inside of journal with pattern paper. Stamp and die cut one image flower out; ink edges with distress ink. Adhere to front of journal. Apply vanish over top of journal and flower. Stamp and color second lower image with makers; fussy cut place on top of journal with pop dots. Stamp label with background image with black paint; dry. Paint wash over prepared label with green paint; dry. Stamp sentiment on to label with black paint; dry. Adhere prepared label to top of journal. Tie ribbon to journal binding. Adhere gears and butterflies to top of journal. 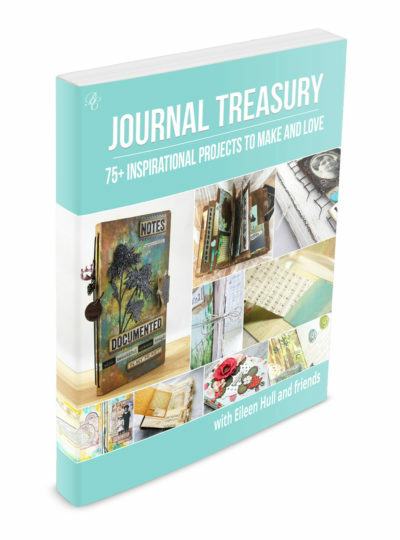 I really, really hope you are falling in love with Eileen Hull's Journal Die!!! Here is a project I shared earlier this month on my blog. 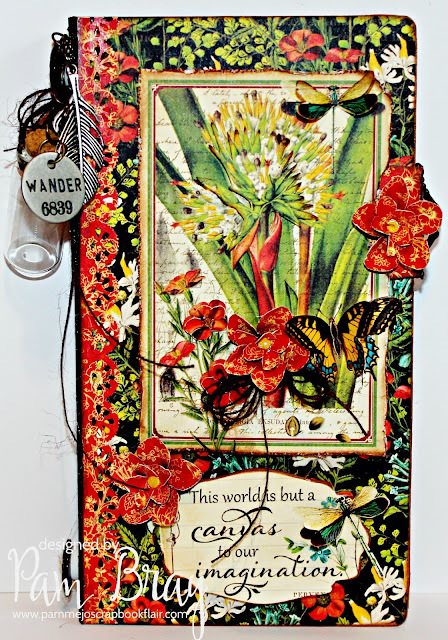 I am hoping to share with you at least once a week some inspiration from using my stamps or sharing what is new over at Sin City Stamps. 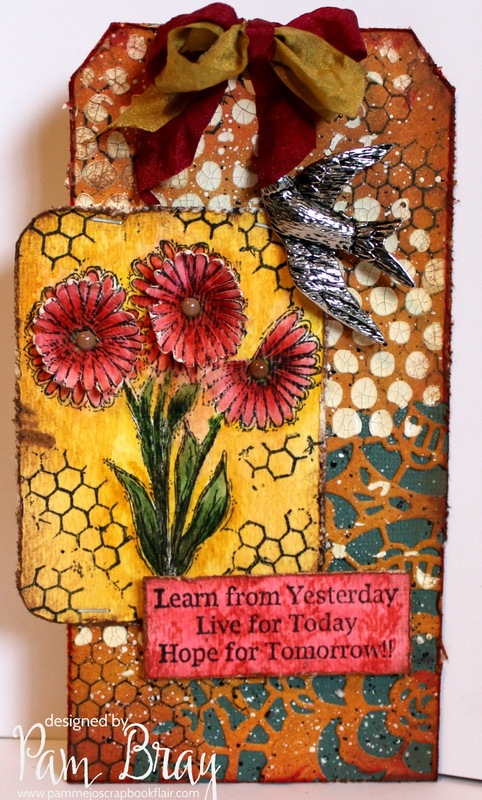 for today I created a mixed media Tutorial "Learn From Yesterday" Tag!!! Apply distress ink to the top with a blending tool. Stamp "Memories" Background to tag with black ink. Distress edges of tag with distress tool. Die cut prepared tag using Mixed Media Die. Adhere to top of green card stock; distress and ink edges. Lay stencil on prepared tag; apply paste with palette knife. Stamp "Memories" Flower stamp on water color paper; color with markers. Stamp around prepared "Memories" Flower with black ink. Die cut prepared flower the size of an ATC. Distress and ink edges; adhere to front of tag with tiny attacher. Fussy cut extra flowers; add to top of flowers at center. Tip petals up and add enamel dots. Do a wash of distress marker on to watercolor paper; dry. Stamp "Memories" Flowers and Borders to top with distress marker. Stamp "Memories" Every Single Day Sentiment to top with black ink. Add to top of prepared tag with pop dots. Tie ribbon to top of prepared tag. 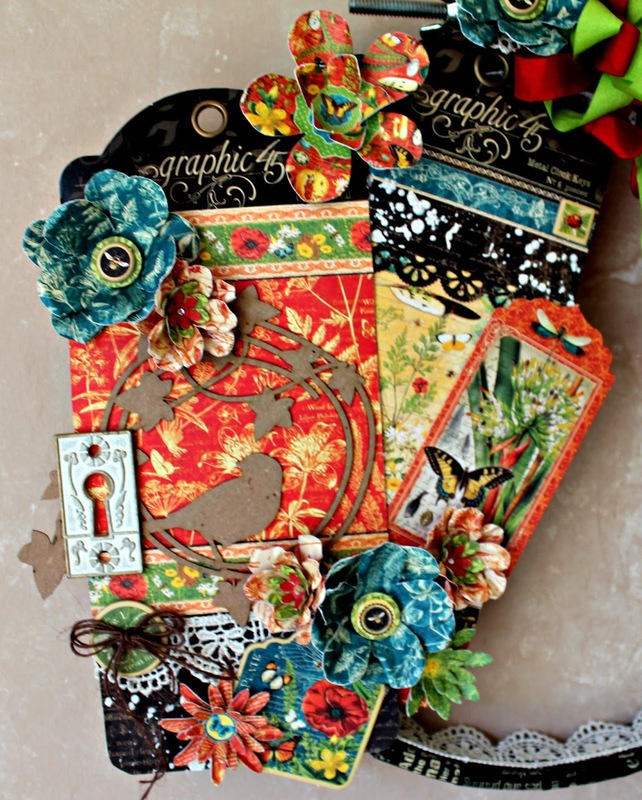 I hope you have been inspired to make yourself a mixed media tag using some of Sin City Stamps. You can see my collections HERE!!! Look over the Sin City Store HERE!!! TO CHECK OUT THE PRE-ORDER STAMPS...HERE! “I love going junkie, going to yard sales, flea markets…you name it I love searching for unique and interesting pieces that I can upcycle! 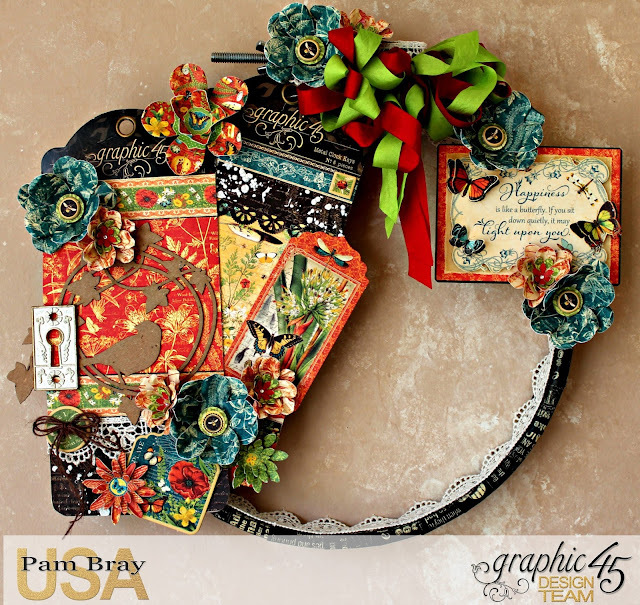 Last summer I found a box of unique embroidery hoops…so when we were asked to upcycle a project this month; I grabbed one of the hoops along with Graphic 45 Nature Sketchbook Collection to create a unique wall piece. 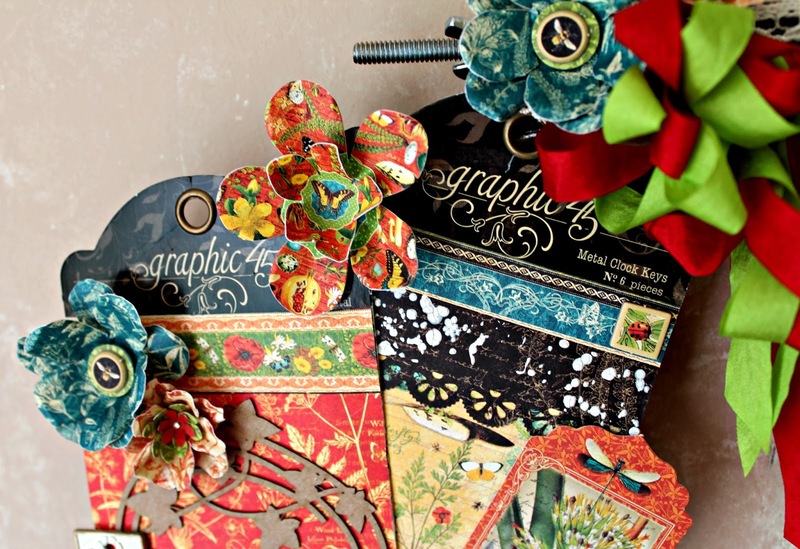 Upcycled Graphic 45 Nature Sketchbook Embroidery Hoop Snapguide will definitely make you happy. Check out How to Upcycled a Graphic 45 Nature Sketchbook Hoop by Pam Bray on Snapguide. 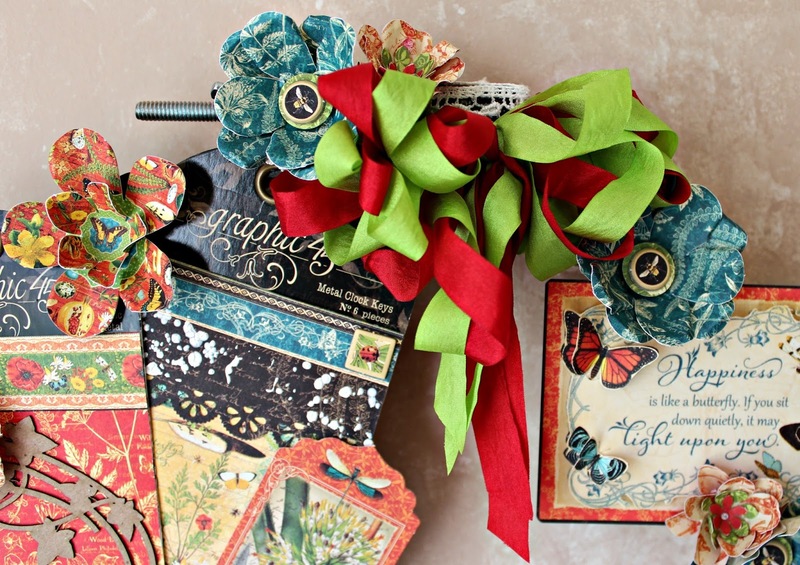 Hint: Wrap washi tape around frames, hoops or other narrow wood pieces to create interest. 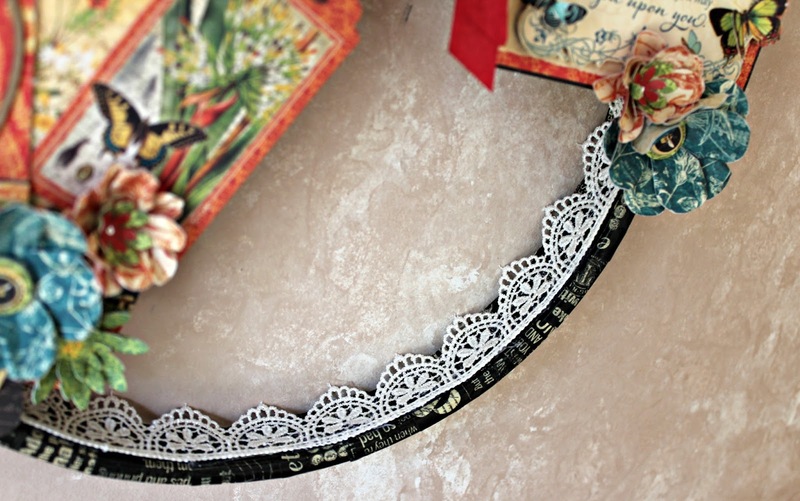 Hint: Add lace to insides of frames, hoops or other narrow wood pieces to create interest. Wrap wreath with Graphic 45 Washi Tape. Add vintage lace to top with glue gun. HINT: Save the packaging from your Graphic 45 products to upcycle. 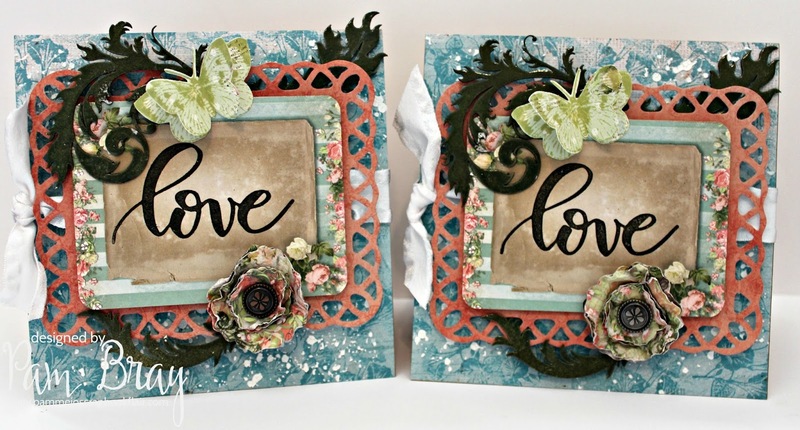 Add crackle paste using a stencil and palette knife. 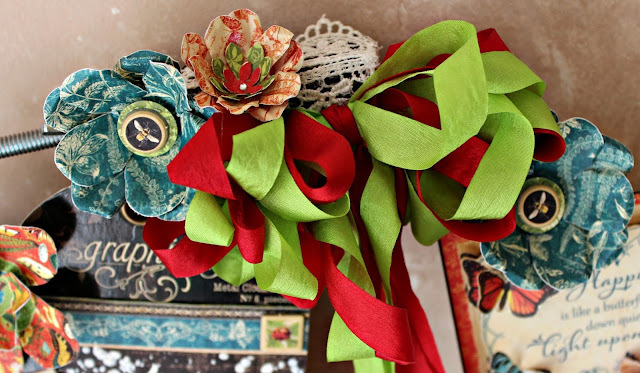 Add border punch scallop strips and punch flowers. Add Nature Sketchbook Flower, Chipboard, etc. to top of prepared tags. Add to prepared tags to top of embroidery hoop. Add twine to chipboard button; adhere to top of tag. Add Nature Sketchbook Journal sentiment to side of prepared embroidery hoop. 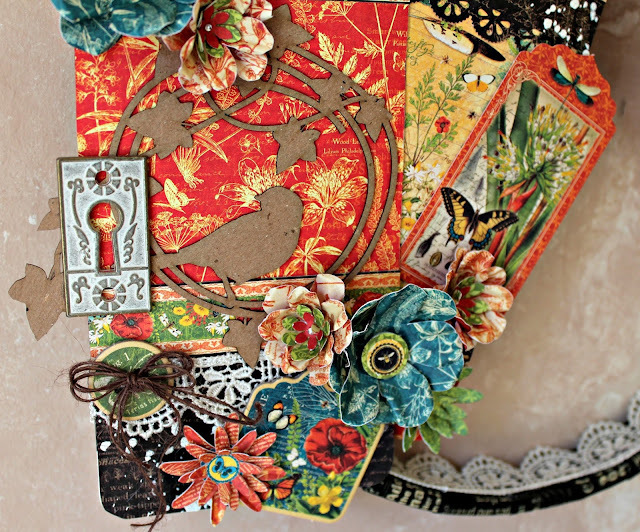 Add a few more of the flowers and chipboard. Adhere to top of prepared Nature Sketchbook Embroidery Hoop. 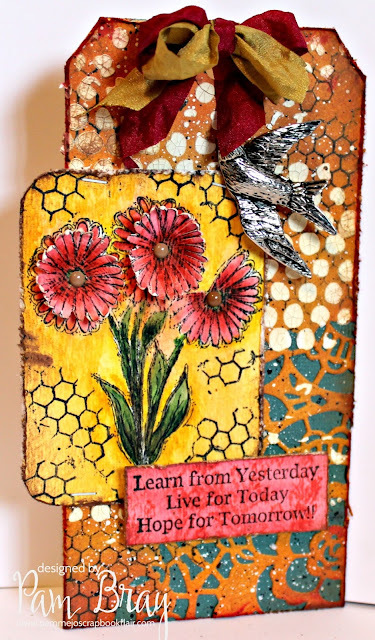 Are you enjoying the Stampendous/Creative Impressions Blog Hop? Remember to leave comments for a chance to win some beautiful Creative Impression Ribbon and a Birthday Ensemble from Stampendous. Adhere black card stock to top of card base. Corner punch pattern paper; adhere to front of card base. Corner punch purple card stock and pattern paper; adhere to front of card base. Stamp image twice on white paper with black ink; color with markers. Corner punch one of the colored images; adhere to black card stock. Fussy cut second prepared flower image with scissors. Add to front of prepared card front. Create tag with scissors; adhere to black card stock. Add to front of prepared card. Add dot silver sparklers to front of card. Double Duty Love with Emerald Creek Supplies Dare Challenge! Begin by first applying pattern paper to the front of card bases. Stamp flower image on to paper with distress ink. Lay stencil on prepared card front; apply paste with palette knife. Dry. 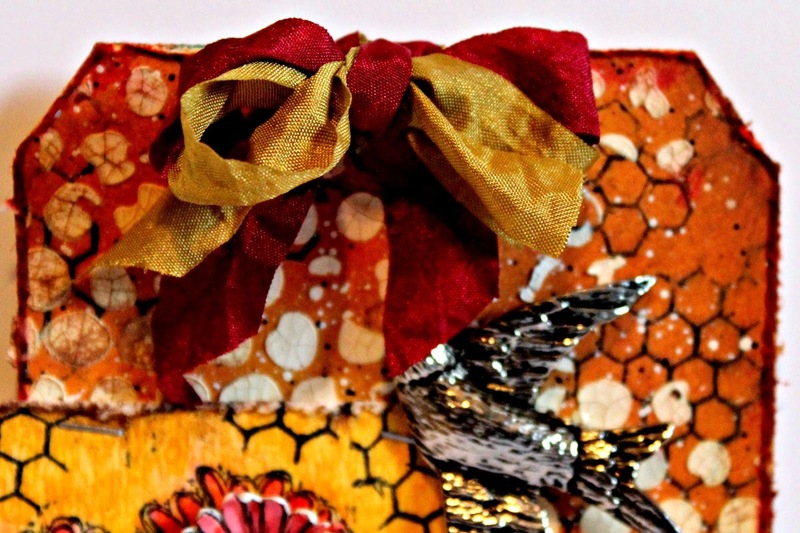 Wrap card front with ribbon; tie off in a knot. 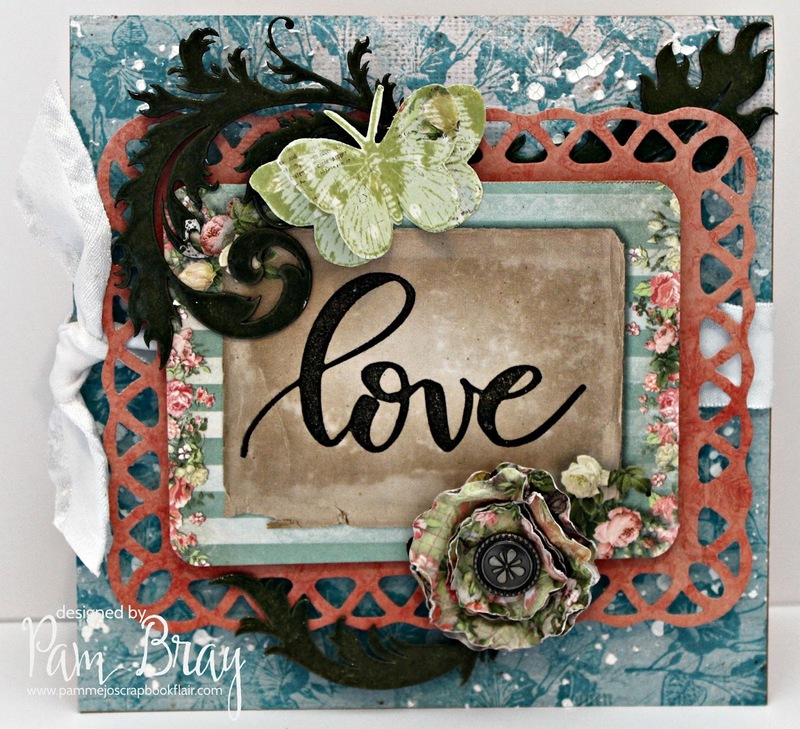 Stamp "Love" image on to journal blocks with black ink. Die cut frame from pattern paper; adhere "Love" block to top with pop dots. Add prepared frame to top of card with pop dots. Paint chipboard with paint. Dry. Apply Boss Gloss to top of painted chipboard; emboss with embossing powder. Adhere emboss chipboard to card front. Mist die cuts with water; wad up. Dry. Open piece up and layer together with brad. Adhere flower to front of card. Stamp butterfly on pattern paper; fussy cut out. Layer together at bodies; lift wings up. 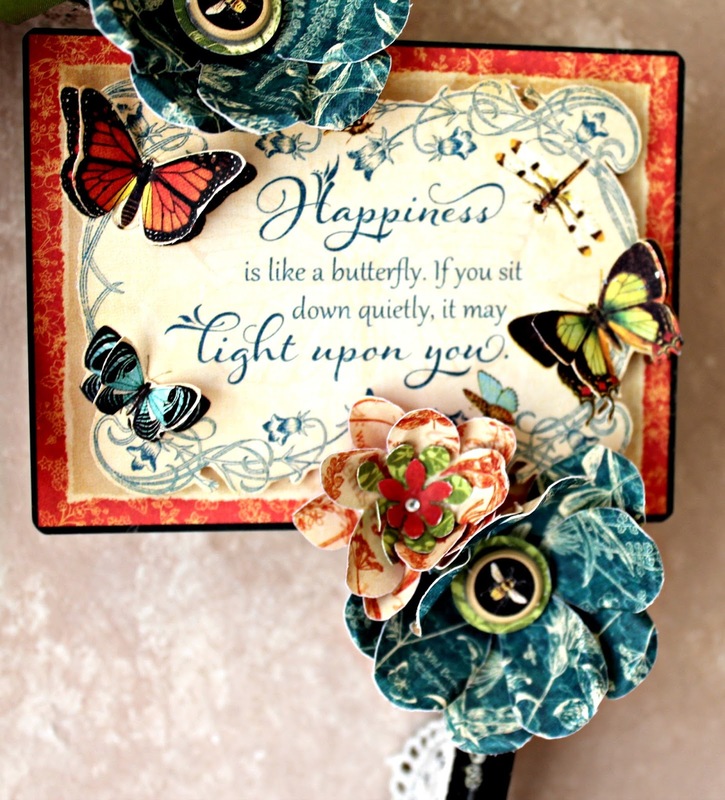 Adhere butterflies to front of card. We hope you have enjoyed the new challenge on for the dare...Double Duty! I hope you have entered your project on the Emerald Creeks Supplies Dare Blog....HERE!!! To enter this month's Double Duty Dare, use the InLinkz on the Emerald Creek Supplies Blog. Remember to follow the challenge rules as posted on the right sidebar of the blog, in order to be eligible.